Beautifully decorated and furnished 4 bedroom villa with swimming pool situated in the magnificent resort of Dunas Douradas. Modern detached villa with distant sea views. A perfect natural setting in a quiet peaceful development. Only a 5 minute drive to the famous golf courses of Vale do Lobo, Quinta do Lago, golden sandy beaches, shops, bars and restaurants. 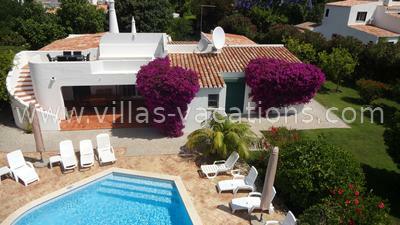 Single storey 4 bedroom villa with secluded garden. A spacious property furnished to a high standard located in the development of Varandas do Lago conveniently situated close to all amenities including famous golf courses, bars, restaurants, shops and only 30m from the main local route to the beach (about 20 mins walk away). 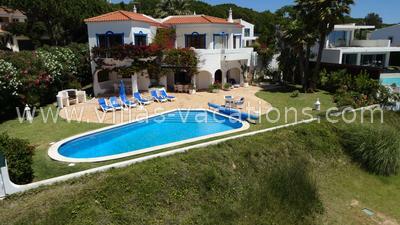 Detached 4 bedroom villa with pool and fabulous views to golf course and sea. This ideal family villa is perfectly situated to get the most that the Golden Triangle has to offer. This spacious single storey four bedroom detached villa is conveniently located within the quiet resort of Valverde, which is adjacent to Quinta do Lago and within a short walk to shops, bars & restaurants within Quinta do Lago . 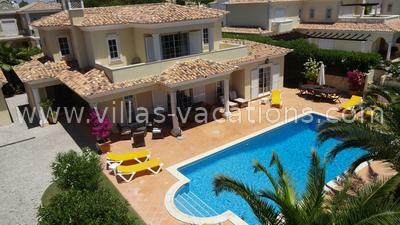 Magnificent two storey 4 bedroom villa with swimming pool set in a mature, enclosed, landscaped garden.